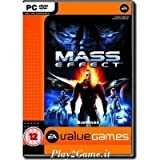 （C）2006 BioWare Corp. Mass Effect, the Mass Effect logo, BioWare Corp., and the BioWare logo are trademarks of BioWare Corp. in the United States, Canada and other countries. All other trademarks are the property of their respective owners. All rights reserved. Microsoft, the Microsoft Game Studios logo, Xbox, and the Xbox logos are either registered trademarks or trademarks of Microsoft Corporation in the United States and/or other countries.